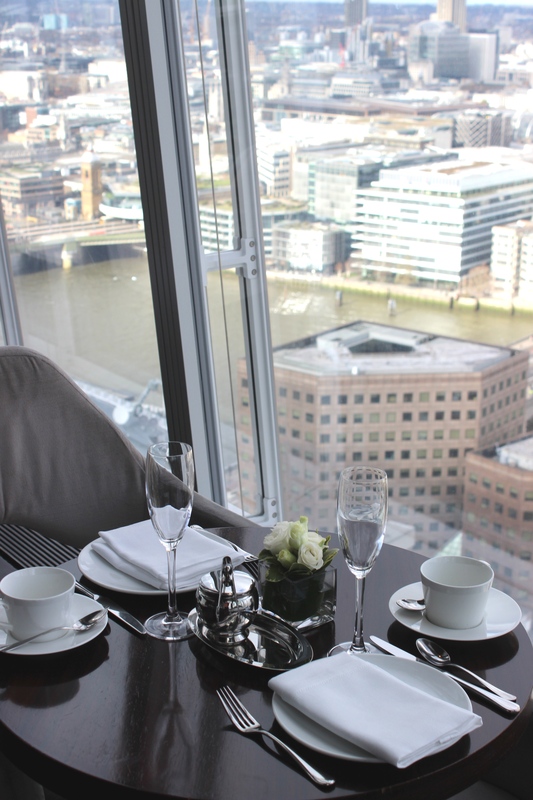 When my friend spontaneously asked me if I wanted to go to Afternoon tea at The Shard last weekend, I caved and said yes. Sundays are usually reserved for brunch, but in this case I could make an exception. It’s been 3 years since I first tried afternoon tea and what an amazing experience it was. 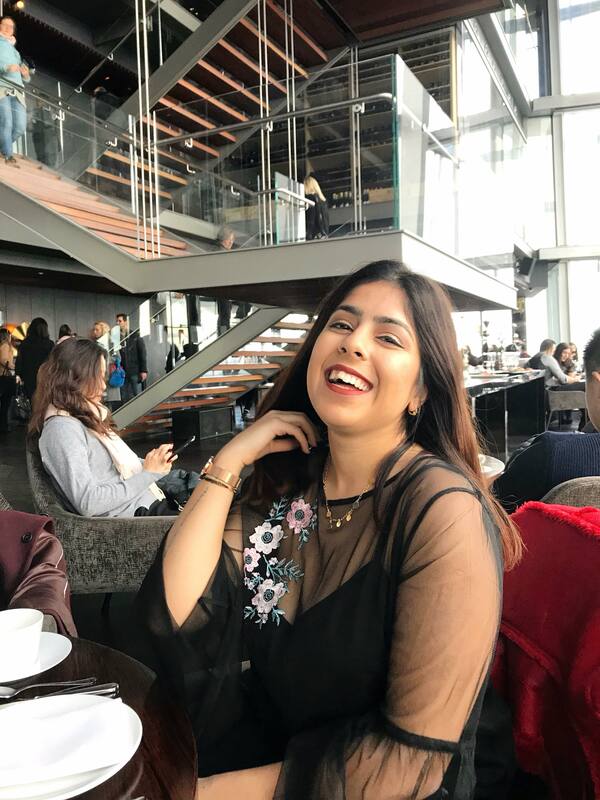 I had afternoon tea at Sketch and was impressed with the experience, so I was excited when friend insisted on going to Aqua Shard. 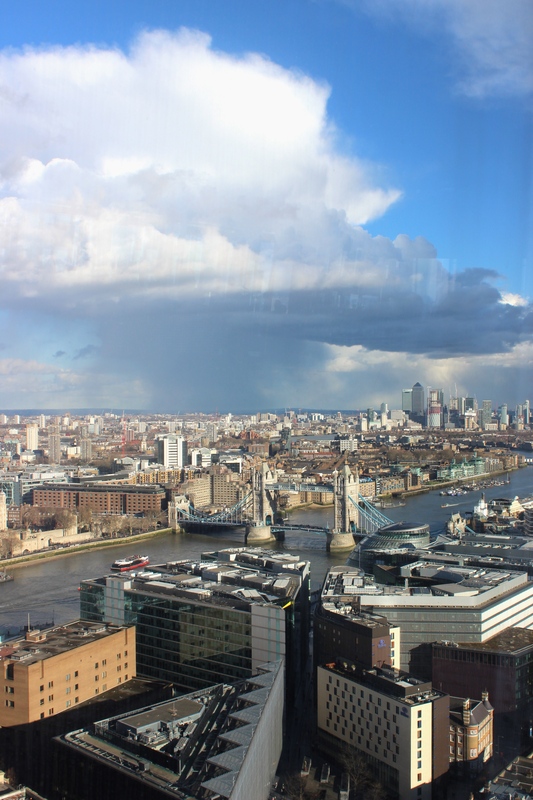 The Shard itself is an impressive place, the views on the top floor are just incredible. I’ve been here twice previously just for drinks but I was looking forward to trying the afternoon tea. The downside is you have to book early in advance, as their tables get full really fast. We luckily got a table for Sunday, baring in mind we booked on Monday. If you cancel within 24 hours of your booking you’ll get charged £25, so make sure you’re 100% sure you can make it. Getting there is easy, as it’s right above London Bridge station. Though there is a little security you may have to go through, it only takes two minutes and then you’ll be on your way to the top. 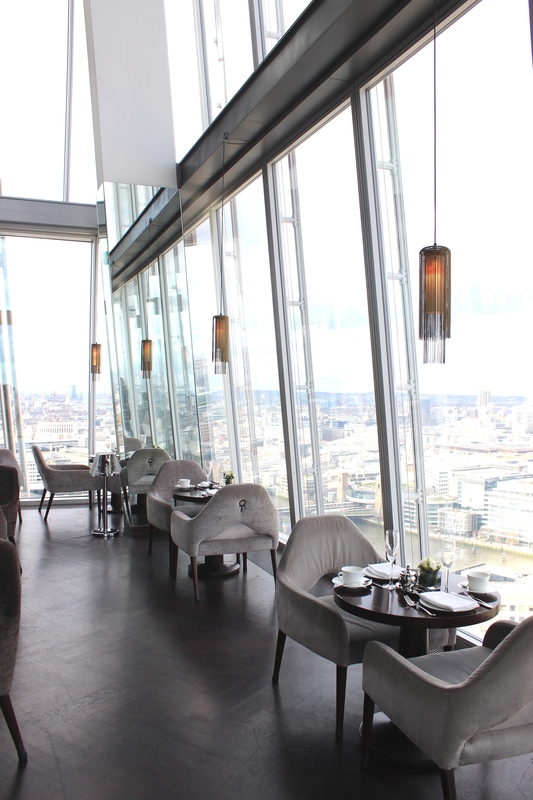 Aqua Shard has three areas, there’s a restaurant, a bar and an area just for afternoon tea. We arrived 10 minutes early but were told to wait a few minutes to be seated. 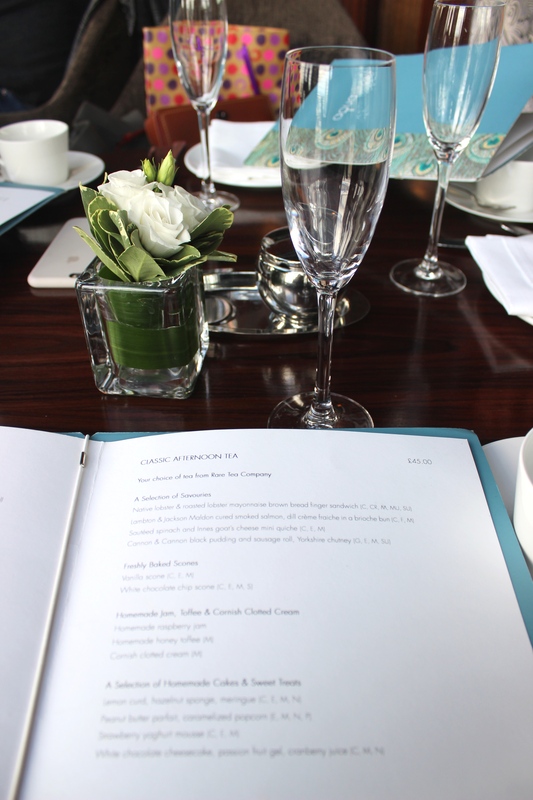 Once seated, we were immediately given the menu and starting browsing our options. I have to admit, there was a very limited tea selection. 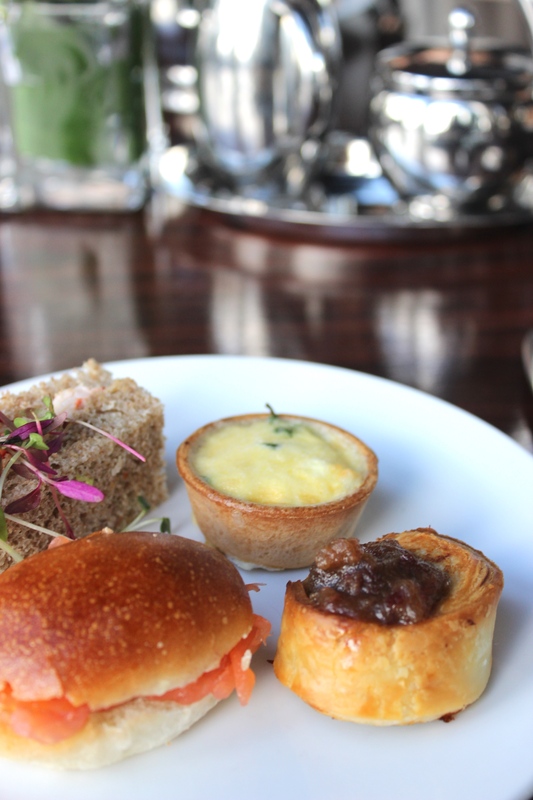 You get a choice of Classic Afternoon Tea or Champagne Afternoon Tea, but we opted for the former. These come with raspberry jam, honey toffee and clotted cream. Though we were seated promptly, it took a while for someone to eventually serve us. Even after we had ordered our choices, the food came out about half an hour/45 minutes after we had ordered. This wasn’t ideal considering we had skipped breakfast and were starving! We were first served the savoury bites, and I found them to be a little flavourless. The lobster sandwich and goats cheese quiche tasted a little bland. My favourite was the black pudding and sausage roll out of all the options. Sidenote: you can ask for a complimentary refill for the sandwiches. Next, we were served the sweet section in a classic three-tiered cake stand. I had literally been dreaming about the scones all week and was excited to dig in. The scones were warm, crumbly and delicious and the honey toffee paired with the white chocolate chip scone was divine. Though I’m a massive fan of lemon meringue pie, the lemon curd was too bitter for my taste. But I quite liked the strawberry yoghurt mousse and the peanut butter parfait. Overall, my experience was alright. I expected a little bit more from the place. I must say the views are incredible, and the interior is amazing. Like the view from the toilet, which is gorgeous. Literally everyone was going to the toilet to take pictures. Would I go again? I highly doubt it. The service was alright, some of the staff were a little hostile considering we were in a luxurious atmosphere. There was no delicacy that surprised me or made me think, ‘Wow this is incredible’. Likewise, the tea wasn’t anything special either. Although, I quite liked the presentation of the dishes. 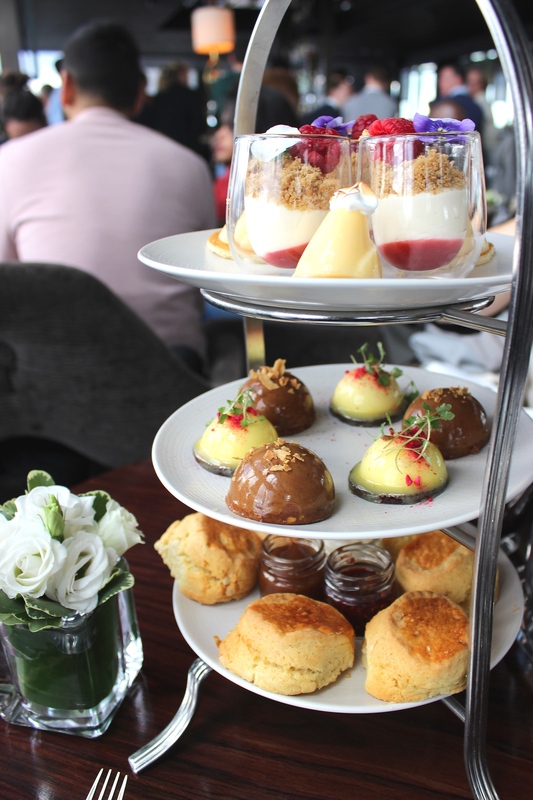 The afternoon tea experience at Sketch was much better as the food was tasty and everything could be refilled as many times as you want. I don’t think for the price we paid it was worth having afternoon tea. The best part of it was probably the views. 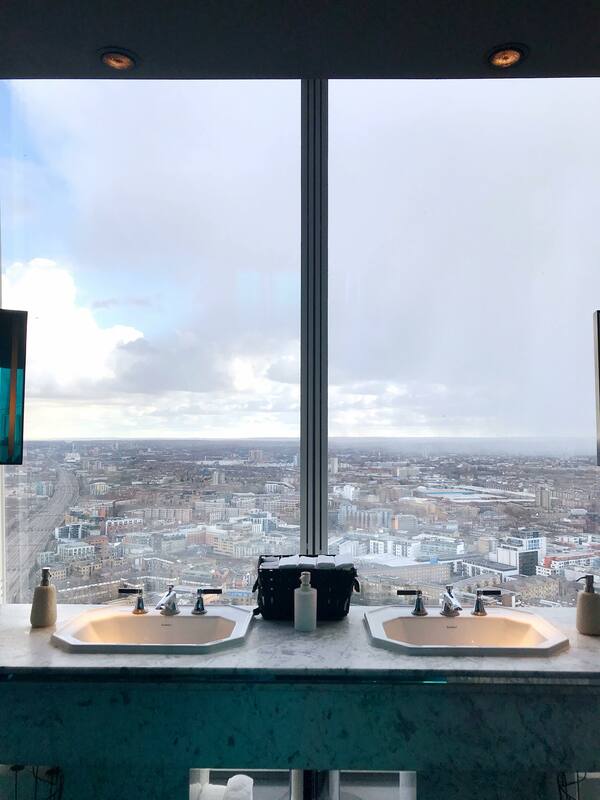 It was also a bit annoying to have people walk around the afternoon tea area just to look at the views and take pictures, which I think the restaurant needs to monitor. Despite this, I’m glad we got to have the experience. 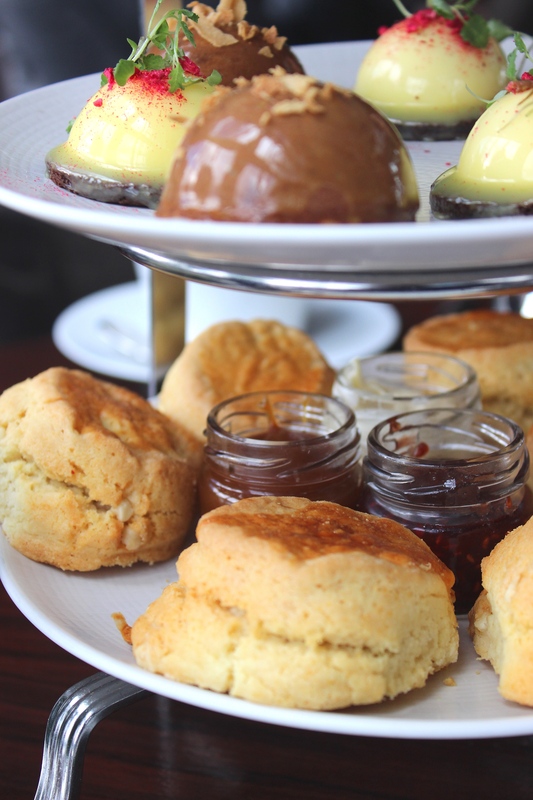 The Classic Afternoon Tea costs £45 per person, the Champagne Afternoon Tea costs £55 per person. 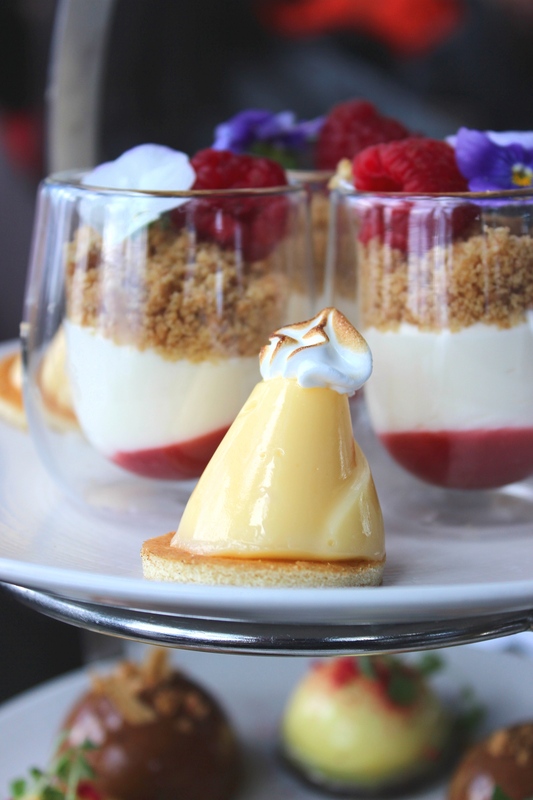 Have you ever had Afternoon Tea at The Shard?